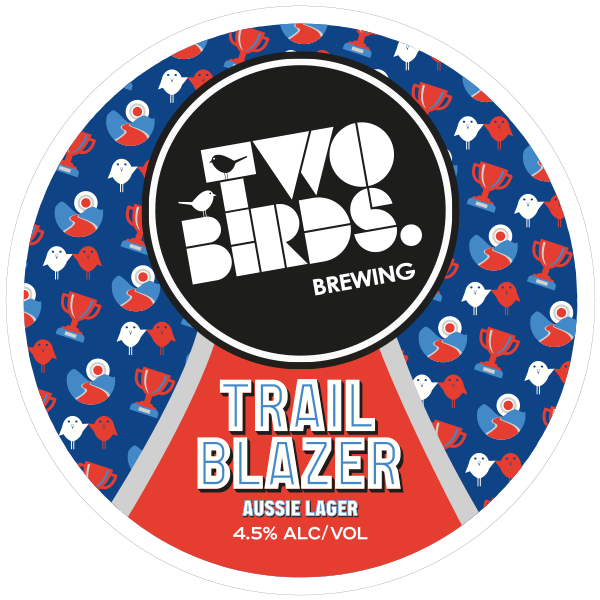 A Lager for Two Birds Brewing. The two birds, Jayne and Danielle launched the company with 2 core beers, Golden and Sunset. Since that time Two Birds has expanded a large range of recurring beers as well as short run specialty brews. After we created their core range labels, seasonal labels, as well as the very successful Passion Victim beer in a can, the next focus was on a lager. 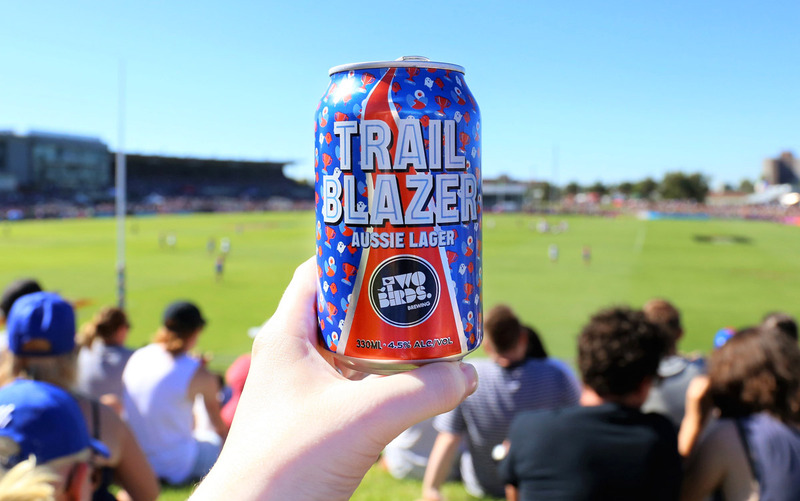 This lager had to be something different from their other beers, unique as Two Birds, and was in part a collaboration with the Western Bulldogs AFLW – celebrating the trailblazer in all of us. The Two Birds had an idea to create a pattern that represented what being a trailblazer was all about. We illustrated iconography that showed success, partnership and heading down the unknown path. The colours selected were a homage to the Western Bulldogs AFLW team and the overall design is different, yet still feels part of the Two Birds Brewing family by utilising the same fonts and general layout of information. The beer is sold at Bulldogs AFLW games, as well as selected stores. “Two Birds Brewing has had a long relationship with the lcdc.co team and they always deliver on-time and on-brief. They have grown with our business.